A is down, now we move onto the next letter in our journey through my writing alphabet. 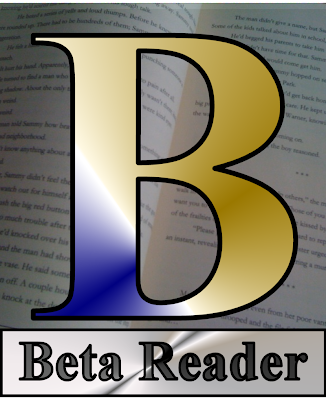 Thank you, dear beta readers. You catch our inconsistencies, point out when our plots don't make sense, deride our convenient twists and cardboard characters, and somehow manage to catch every backward quotation mark and poorly-used verb, adverb, and conjunction. Without you, we'd turn in sub-par work rife with spelling errors, annoying characters, outdated pop culture references, and plot holes big enough to drive a Peterbilt through. Of course, sometimes we still ignore you.